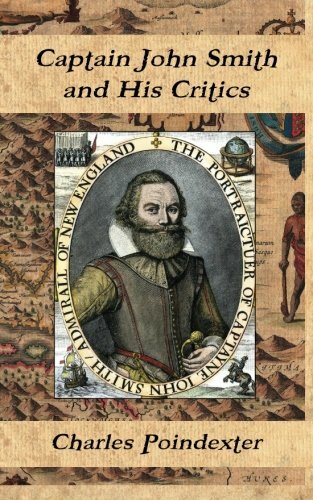 Though he lived over 500 years ago, Captain John Smith's life is still much discussed. He was born in 1580 in England, and at sixteen, after his father's death, Smith set off for a life at sea. He fought under various flags and found himself knighted by the Prince of Transylvania, but later captured and sold as a slave. He would escape and return to England by 1604. Two years later he was on an expedition set to colonize the New World under the Virginia Company of London. The journey took over four months before they first landed in Virginia. In that time, Smith was charged with mutiny and nearly executed. They would later settle in Jamestown, which was disastrous because of the swampy region, disease, insufficient food, and generous malnutrition. Smith spent a great deal of time navigating for food what is now known as the Chesapeake Bay area, and developed detailed maps as a result. It 1609 as a result of a injury he returned to England for medical treatment. In 1614 he sailed for the United States again, but to what is now known as New England, creating a map of the region that replaced the Native American place names with those suggested by Charles I. In 1615, on a second attempt to return, he was briefly captured by French pirates, escaped and then remained in England until his passing in 1631. His life continues to be a source of great scholarly controversy, particularly around his relationship to Pocahontas. This seminal lecture by Charles Poindexter illustrates some of these points of contention.